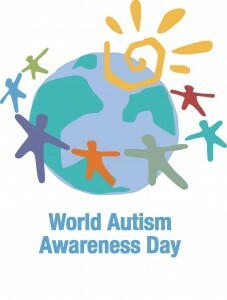 April 2 is Autism Awareness Day. If you know someone that is raising a child with autism you know the difficulties that are faced on a daily basis. The incidence of autism is rocketing over the past few decades. The origins and causes are discussion for another day. There are also two camps in what the mechanism is in that one suggests autism is a gut issue and of course the other neurological. Treatment or management is really from soup to nuts when you look at some of the various approaches. There is the camp that drugs the individual to try and manage the situation. Others have strict diet regimens as well as supplemental nutritional support. What I wanted to touch on today is anecdotal and reflective of over 30 years in chiropractic practice. My first experience with Autism was in 1981 when a very intelligent woman with a Master’s degree in Science began chiropractic care at my office. She had conveyed to me that her son Bryan had this condition autism. It was a rare condition at that time and she had researched the syndrome extensively. She asked if I thought chiropractic would help with her son. I responded positively because I know unequivocally that anyone functions better with clear nervous system as opposed to one that is interfered with. Bryan was non communicative at the time and had issues integrating in the school system. We began intensive adjustments focusing on his upper cervical spine. Bryan’s father was not as supportive or convinced that this was the route to take as his mother was. Over the next few months things started to change with Bryan. We came to realize that he was a very intelligent young man. He began to interact better in the school system. His behaviour was changing in the most beneficial ways. I knew that chiropractic had changed his life, his parents as they were cognizant of this as well. I often over the treatment time would say to Bryan and his mother that he was subluxated and the adjustment would fix that. I fondly recall a day when Bryan was about 7 years old he walked into my reception area and belt out to me… Dr. Brian … I am subluxated and need an adjustment. That became typical. He understood the importance of a properly functioning nervous system better than any patient ever did…..There are several other cases I have managed over the years and most often the outcome has been favourable if they follow the regimen…Now you can research other anecdotal cases, research about nutrition and the list goes on…. I can tell you without hesitation, equivocation or mental reservation that you absolutely need to include chiropractic adjustments to the care of autism along with the other pillars of health and wellness. Chiropractors can help!